Chunky knits. They're baaaaaaack. OH YEAH! I really, very strongly, greatly, very much love chunky knits and oversized everything. Like really. And after a 4-5 month hiatus, in a few weeks it will finally be appropriate to don all the knit cardigans and sweaters I've been dreaming about all summer. YAS. Finally. Finally. This post is dedicated not to all knit paraphernalia, but solely to knit cardigans. 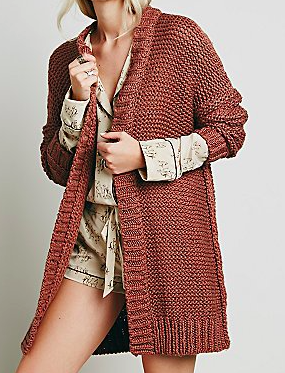 Chunky knit cardigans, specifically. Because as much as I'd love to feature every knit piece out there, I gotta reign it in. So I settled on cardigans. For now. But I'm 167% sure I'll be showcasing other types of knits in another post. Well, I exaggerated. I'm only 164% sure. But still, 164% is promising, no? Here we have short cardigans, mid-length cardigans, long cardigans, buttoned cardigans, zippered cardigans, belted cardigans, wrap cardigans, waterfall cardigans, solid cardigans, and printed cardigans. 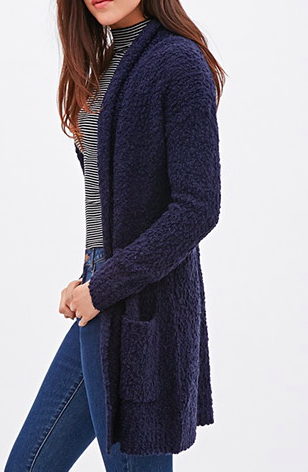 To summarize, we have many different styles of chunky cardigans here. And I'm very proud of that summary, because it was concise and to the point. As depicted on the models above, you can really pair your cardigans with everything - dresses, tops and skirts, and tops and pants. 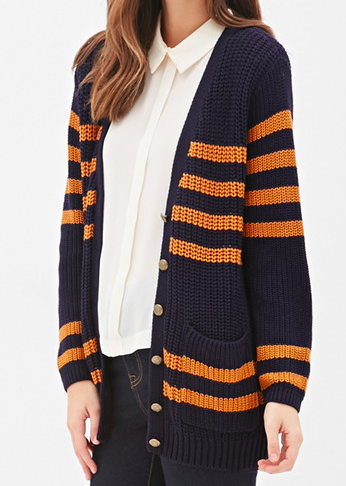 But also, may I be so bold as to suggest that you wear a cardigan all by itself? With nothing under it? Like a long cardigan that you button up and belt? Thanks for your consideration.